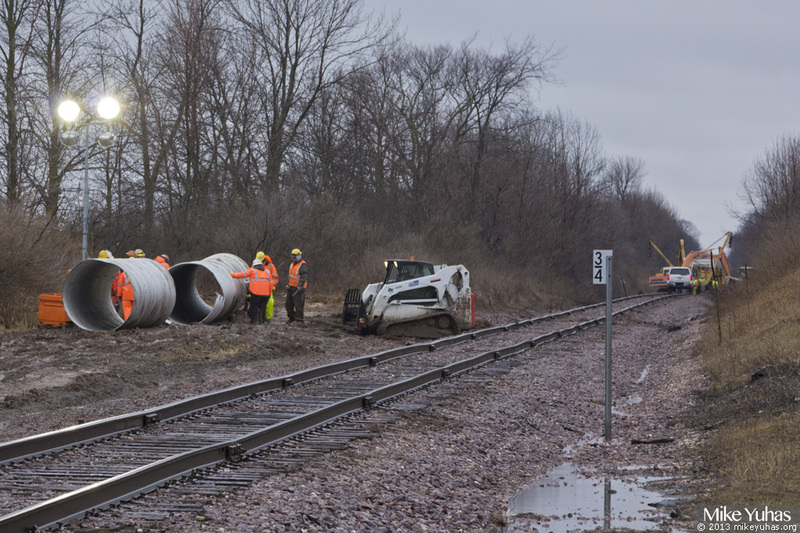 New culverts are being prepared for installation just south of the wreck site. The goal is to direct runoff away from the tracks. In the background, work continues on cleanup of the debris field.